Want to quickly recharge by some short but solid sleep? 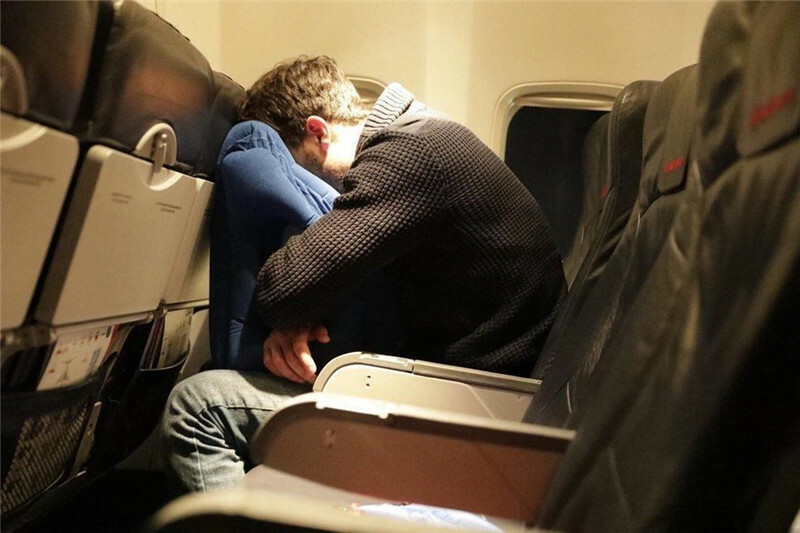 Now you have Ultimate Travel Sleep Pillow to get you asleep in no time!! - ERGONOMIC DESIGN: Allow you to rest comfortably in a Natural Face Forward Position when napping / sleeping. Provide perfect neck & head support. One hole on each side for comfortable arm rest. - TRAVEL FRIENDLY: Very portable, lightweight as 0.76lb weigh, easy to inflate and deflate with a few breaths of air and release the air by press one Button. Come with a Compact Carry Bag for to easily h on your suitcase / travel bag. - MULTI-USE AND ADJUSTABLE: Support different sleep positions like forward leaning facing down / side sleep. 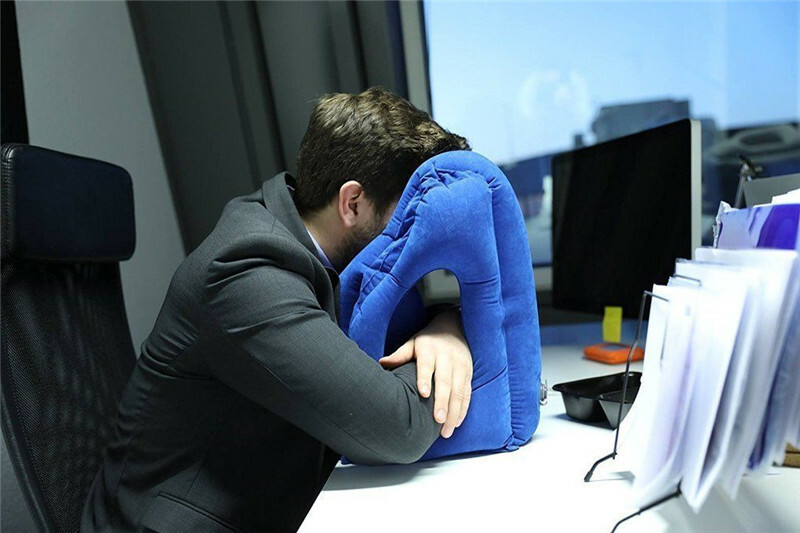 Perfect to use in airplanes, road trips, office napping, lunch break, camping. - QUALITY MATERIALS: Made of soft fabric. 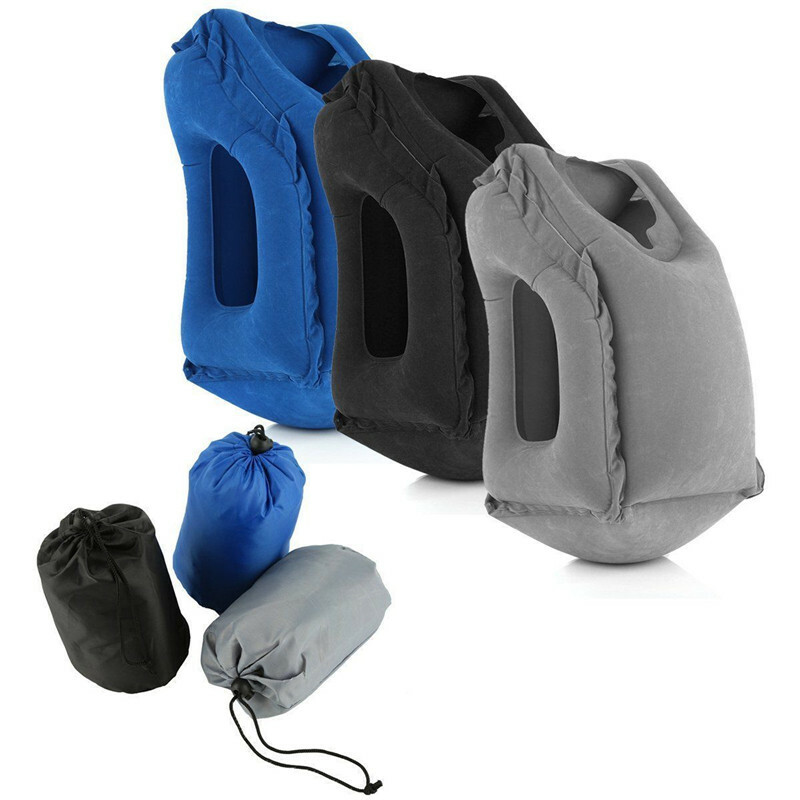 This travel pillow regulates temperature and keeps you cool and comfortable during sleep and fits in all seasons. 1. For inflation, please open the first valve to blow air, quick inflation in 4-8 breaths. 2. For deflation, just open the second valve to squeeze the air out.